In WINCHESTER, VIRGINIA, the ca. 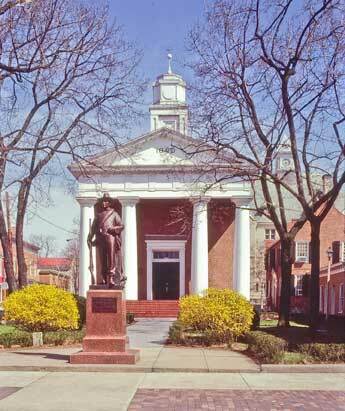 1840 FREDERICK COUNTY COURTHOUSE is an example of the Greek revival influence in that ante-bellum period. Still standing, it was replaced in the 1980's by a large courthouse erected to its rear on a nearby street.